Click here to purchase your gift cards. Once you have purchased a gift card, you can return to the carwash to reload it; choosing any one of the amounts listed above. Any questions regarding our gift cards, please contact us. Join our Wash Club and get unlimited use of our Automatic Carwash. the Ultimate Carwash for $27.99/month. 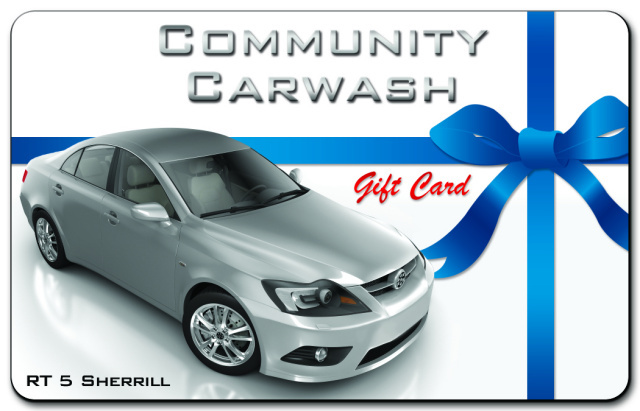 You can pay for your membership in our Wash Club right at the carwash using your credit card. You will receive a receipt and directions on how to obtain your membership sticker. Or contact us and we will arrange to meet you there with your sticker. You can use our self serve bays or the automatic car wash and pay using coins, bills or credit cards. Any questions regarding any or our payment options or services, please feel free to contact us.